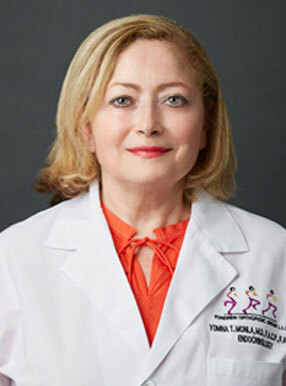 Staff Endocrinologist at the Center for osteoporosis and metabolic bone disease at Fondren Orthopedic group. She works closely with the orthopedic doctors in the management and treatment of osteoporosis and helps to RIO hormonal / metabolic abnormalities which may be contributing to poor healing in some stress/ nonunion fractures. She has received the Fracture liaison service (FLS) workshop certificate offered by the National osteoporosis foundation on May16, 2018.